How Much Does a Pharmacy Assistant Make per Year? A pharmacy assistant works with licensed pharmacists on administrative tasks, customer service, and general office needs. Pharmacy assistants in the US earn more than $36,000 per year compared to more than AU$39,000 ($31,287 USD) in Australia. Annual earnings in Canada and New Zealand are similar at about C$34,000 ($27,751 USD) and NZ$35,000 ($25,667 USD), respectively. In the UK, pharmacy assistants earn nearly £15,000 ($17,361 USD), followed by South Africa at more than R99,000 ($7,451 USD) and India at just under Rs180,000 per year. This guide serves as a resource to outline salary variances by geographic region, number of years of professional experience, and work setting. Average annual salaries with US dollar currency conversion and hourly wages for pharmacy assistants are provided in the chart below. Geographic region, professional experience, and work setting all influence salaries. The following paragraphs provide information on earning potential and working as an pharmacy assistant. In the US, pharmacy assistants earn more than $36,000 per year. Those paid an hourly wage receive between $9 and $19 per hour. The average annual salary for entry level pharmacy technicians is more than $20,000 per year, while those with the most experience and responsibility in senior level positions can make more than $43,000 annually. Bonus amounts are light, but can add another $200 to $500 in total earnings. Overtime pay ranging from $12 to $20 per hour can further enhance overall pay. New pharmacy assistants who are just beginning their career in Canada earn nearly C$22,000 per year with annual pay increasing with experience to more than C$52,000 annually. While the average annual salary is just over C$34,000, hourly wage earners receive between C$12 and C$20 per hour and overtime brings between C$10 and C$29 in additional hourly pay. Up to $3,000 is possible in additional pay through bonus opportunities. Pharmacy assistants in the UK earn between nearly £11,000 and more than £19,000 per year while those paid an hourly wage receive between £7 and £9 per hour. An additional £200 may be offered in bonus pay, and time worked in excess of a full-time schedule is paid at an additional £7 per hour. Pharmacy assistants in Australia earn more than AU$39,000 per year, equating to about AU$19 per hour. Entry level pharmacy assistants earn a starting salary of just under AU$29,000 per year compared to senior level professionals with annual salaries of nearly AU$51,000. Opportunities for bonus are small at just slightly more than $100, while overtime hours can potentially add a significant amount to total earnings at between AU$11 and AU$32 per hour in additional pay. In New Zealand, annual salaries for pharmacy assistants range from nearly NZ$33,000 to nearly NZ$42,000. Those paid an hourly wage receive roughly NZ$16 to NZ$20 per hour, and overtime pay can add up quickly with another NZ$30 per hour tacked on to overall earnings. Pharmacy assistants in India earn between nearly Rs98,000 per year for entry level positions to nearly Rs388,000 per year for senior level professionals. Those who are paid an hourly wage receive an average of about Rs86 per hour. Bonus pay can add another Rs11,500 to overall earnings. In South Africa, pharmacy assistants earn more than R99,000 per year, while those paid by the hour receive between R23 and $175 per hour. While entry level pharmacy assistants earn more than R52,000 per year, while senior level professionals with the most experience and responsibility earn more than R234,000 per year. Overtime hours worked can garner an additional R98 per hour. Bonus pay incentives can reach R7,250 in additional earnings. While pharmacy assistant salaries are light compared to some other healthcare positons, experience can potentially add to overall earnings. In the US, where earnings are among the highest, senior level positions garner an annual salary of $23,000 per year more than entry level positions, representing a difference of 110%. While the lowest salaries are found in India and South Africa, these two countries see the largest growth in annual earnings at 296% and 350%, respectively. New Zealand sees the smallest gap between entry level and senior level pay at just 27%, or NZ$9,000 per year, while annual pay increases 136% in Canada, 76% in Australia, and 72% in the UK. Pharmacy assistants are employed in hospitals, privately-owned pharmacy businesses, retail stores, and mail order companies. In the US, retail pharmacies offer salaries that are about 22% more than the national average for this field. Conversely, in Australia, the opposite is true as retail stores pay slightly less. Overtime pay may be more readily available in hospital settings, retail pharmacies open 24-hours, or mail order pharmacies that staff second and third shifts. While many pharmacy assistants work full-time hours, there are plentiful opportunities for part-time schedules. Most working in this career are scheduled during normal business hours Monday through Friday with some evening and weekend times available to accommodate patient schedules. Those working in hospital and 24-hour organizations may be scheduled during the late evenings, weekends, and even holidays. Full-time employment is typically viewed as 36 to 40 hours per week, and time worked in excess often is eligible for overtime pay. 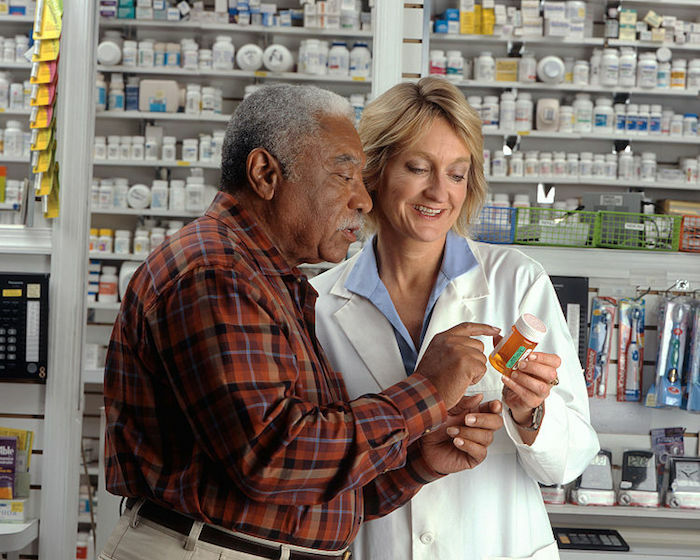 Pharmacy assistants may receive healthcare benefits that include medical, dental, and vision coverage; however, those who work part-time may be ineligible for these benefits. Paid time off may be provided for full-time employees covering holiday, vacation, and sick time. Bonus pay is offered by some employers; however, the average payment is small. The US Bureau of Labor Statistics estimates a growth rate of about 9% in pharmacy technicians, a role that is similar to a pharmacy assistant. This faster than average growth from 2014 to 2024 is expected due to an aging population and improved medical technology and access to healthcare. A career as a pharmacy assistant requires only a high school education; however, those with an associate’s degree and prior pharmacy experience will be more competitive for open positions. While pharmacy assistants earn less than other healthcare positions, earnings are reflective of the lower level of educational requirements for this position. There are opportunities for some bonus pay and overtime pay can add significantly to overall earnings. Future job growth is expected to increase, though positions may be competitive and those with experience or some advanced education may find employment opportunities easier to acquire.